No. 2 was one of a pair of Avonside locomotives acquired in 1922 by Abermain-Seaham Collieries Ltd for use at Abermain No.2 & 3 Collieries, where they were known as 'Bristol Bombers'. No. 2 ended it career in 1969 and was stored at Hexham until purchased for preservation in 1973. This loco was the first preserved in connection with what became the Dorrigo Steam Railway & Museum, and accordingly is featured on the letterhead of the organisation. This photo of 24 January 2004 shows J & A Brown No.2 stored in black-oil at Dorrigo; unfortunately the Walschaerts valve gear is obscured in this view. This historic locomotive was ordered by Brown as a copy of his favourite locomotive, No. 20N ('4' below) at NSWRTM. In time, Brown was also able to purchase the original 20N. 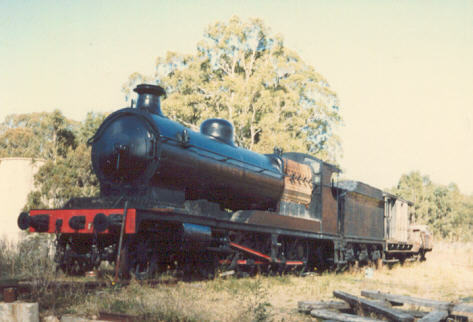 This photo of 24 January 2004 shows J & A Brown No.3 stored in black-oil in Dorrigo. J&A Brown No.5 was originally a condensing locomotive used on the Mersey Railway, Liverpool, prior to electrification of this underground railway in 1904. Four were sold to J&A Brown and overhauled in the UK (including removal of condensing gear) prior to shipment to Australia. J&A Brown No.5 was derelict at Hexham for many years prior to being saved for preservation by the NSWRTM in 1973. No.9 was originally named 'Pelaw Main'. This locomotive (and sister 10 below) have the appearance of a side-tank version of a ROD 2-8-0. No.9 and No.10 (below) ended their careers on the RVR's Hexham Washery shunt and the short trip to Stockrington Colliery. In about 1976 they were replaced by SMR 10-class tank locos, and were placed into storage on the sidings at Hexham. 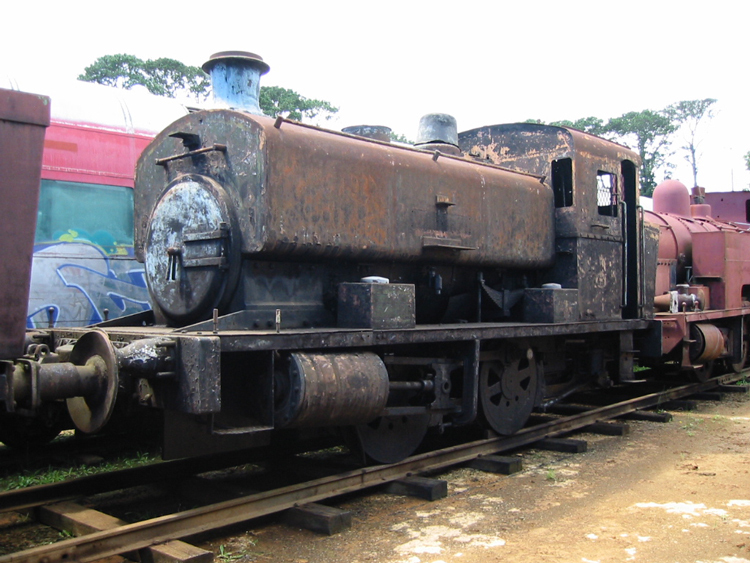 In 1982 they were transferred to the Richmond Main Colliery site of the Richmond Vale Railway Museum. 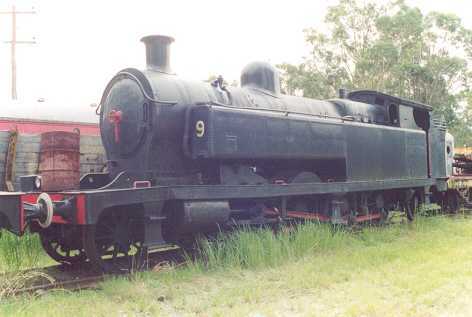 This photo (dated 27 April 2002) shows No.9 displayed at Richmond Main Colliery. No.10 was originally named 'Richmond Main'. (There was once a sister loco No.11 'Hexham', but unfortunately it was scrapped.) No.9 and No.10 ended their careers on the RVR's Hexham Washery shunt and the short trip to Stockrington Colliery. In about 1976 they were replaced by SMR 10-class tank locos, and were placed into storage on the sidings at Hexham. In 1982 they were transferred to the Richmond Main Colliery site of the Richmond Vale Railway Museum. 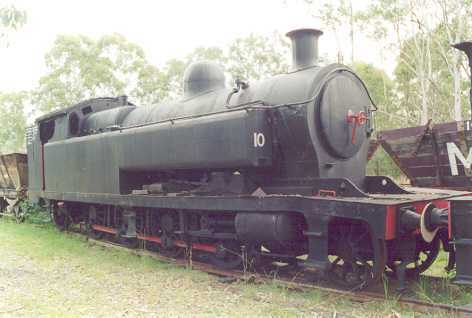 This photo (27 April 2002) shows No.10 displayed at Richmond Main Colliery. Ex- ROD 1984. This photo (courtesy of Mark Newton) shows one of the two ROD locomotives stored at Dorrigo during 1999. Ex-ROD 2004. 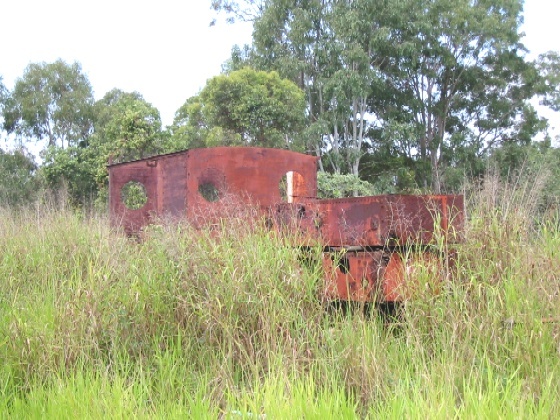 No.23 had been plinthed at Freemans Waterholes, near Newcastle, until obtained by the Richmond Vale Railway about 1983. No.23 was then nominally under restoration to operation, with the boiler removed from the loco’s frames for assessment, but progress stalled due to finance constraints (principally the need for extensive boiler renewal). After many years of dismantled storage, the restoration focus changed to static display and No.23 has since been reassembled, de-rusted and repainted for display as a key locomotive exhibit at Richmond Vale Colliery. This locomotive is sometimes reported as No.21 (Kitson 5201of 1918 - ROD 1615). This old scanned photo shows ROD 23 newly arrived at the Richmond Vale Railway in 1984, prior to its dismantling for overhaul. Ex- ROD 2003. This photo (courtesy of Mark Newton) shows the second of the two ROD locomotives stored at Dorrigo during 1999. Purchased by J & A Brown in 1934 and renumbered No. 27. (10) This photo of 24 January 2004 shows SMR No.2 in storage at Dorrigo. Originally one of three '13-class' locomotives ordered by the SMR but sold in 1936 to the Hetton-Bellbird Coal Co. Withdrawn in 1972 by Peko-Wallsend, Hexham. 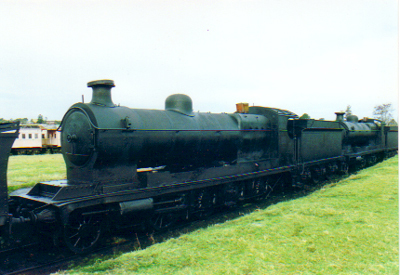 This photo (courtesy of Mark Newton) shows SMR14 at Dorrigo in 1999, stored in black oil for weatherproofing. SMR 10 is the class leader of the South Maitland Railway's 10-class, of which all 14 locomotives are now preserved. It is now owned and maintained by the Hunter Valley Training Company at East Great, together with sister SMR 18. SMR 17 is held by the Hunter Valley Railway Trust at the Rothbury Riot Railway, Branxton. The loco was reported in 2004 as being under restoration; further information or updates are welcome. SMR 18 is owned and maintained by the Hunter Valley Training Company at East Great, together with class leader SMR 10. 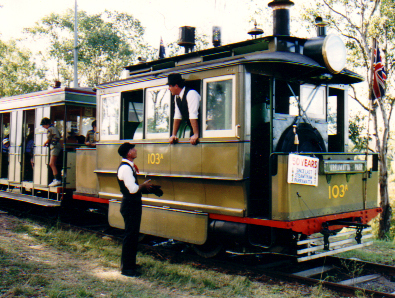 SMR 18 had been leased to 3801 limited for several years and was modified for use on the "Cockatoo Run" tourist train. SMR 19 had been placed on a raised plinthed at the Port Waratah Coal Loader, Newcastle from the early 1980's, displayed in lined black livery together with 3 ex-J&A Brown non-air coal hoppers and a brake van. SMR 19, the 3 coal hoppers and a brake van have since been donated to the Richmond Vale Railway and were relocated by road transport to the RVR on 12 May 2009. SMR 20 is held by the Hunter Valley Railway Trust and stored at the Rothbury Riot Railway, Branxton. SMR 22 had been in operation on Stockrington Colliery duties at Hexham during the 1980's, and was transferred to the RVR following the closure of Stockrington Colliery in 1987. This locomotive had been returned to operation in 2003 but as at 2010 was dismantled for overhaul; refer to the SMR 23 page for further information. 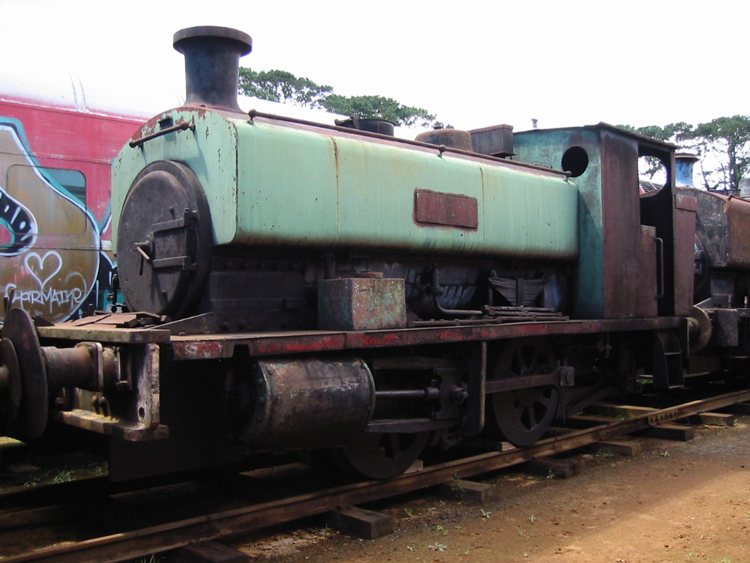 SMR 24 was retired from Hexham in 1987 and had been restored to operation at the Richmond Vale Railway; refer to the SMR 24 page for further information. SMR 25 had been in operation on Stockrington Colliery coal train duties at Hexham the 1980's, and was transferred to the RVR following the closure of Stockrington Colliery in 1987. SMR 26 is held by the Hunter Valley Railway Trust and stored at the Rothbury Riot Railway, Branxton, in black livery. SMR 27 is held by the Hunter Valley Railway Trust and is under restoration at the Rothbury Riot Railway, Branxton, in black livery. SMR 28 had been stored within the former SMR workshops at East Greta but has since moved the Rothbury Riot Railway, Branxton, where it is stored in black livery. SMR 30 has been a regular service loco at the Richmond Vale Railway but is currently stopped for workshop repair; refer to the SMR 30 page for further information. SMR 31 is stored at the Rothbury Riot Railway, Branxton, and retains its lined green livery. Henry Vale & Sons ? of ? ex-Sydney Steam Tram Motor. I have been informed that the tram motor displayed by the Powerhouse Museum is not really No.1, but No.28A, which was built locally to the Baldwin design by Henry Vale and Sons. Possibly the reason for the subterfuge is that when the NSW tramways decided to preserve No.1 it was found to be in such poor condition as to make it only fit for scrap. Photo courtesy of Mark Newton shows 28A at the Powerhouse Museum, Ultimo, in 1994.
ex-Sydney Steam Tram Motor. Exported to New Zealand for use at Wanganui in 1911. (I had previously listed this steam tram incorrectly as 100A. I have since been informed the loco is number 100, not 100A, as the "A" suffix denotes conversion to one-man operation, which 100 never underwent. It still has only a single driving position on the right-hand side. Photo courtesy of Mark Newton shows 100 newly restored at MOTAT. ex-Sydney Steam Tram Motor. 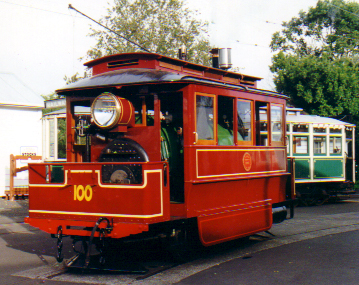 103A was preserved operational for many years at the former Parramatta Park Steam Tramway until the arson attack at this museum in June 1993 destroyed most stock. 103A's wooden cab was incinerated at this time but the remainder of the loco was salvaged for restoration and moved to Valley Heights, where a new cab is under construction. Restoration is now expected to be completed by September 2005. This photo, courtesy of Mark Newton, shows 103A in operation at Parramatta Park with an original steam tram trailer. This interesting steam tram "John Bull" was imported by NSW Government Tramways in 1885 as a trial unit for comparison against the competing Baldwin steam tram design. The Baldwin design prevailed and John Bull returned to the UK in 1889 to become Beyer Peacock works shunter No.2. John Bull is now preserved as an operating exhibit at the National Tramway Museum, Critch Tramway Village in the UK Midlands. This handsome 0-6-0ST locomotive was one of several similar Avonside engines delivered to the South Bulli Colliery. After many years displayed in a park adjoining Corrimal shopping precinct, South Bulli Colliery No.4 was taken off-site in 1999 by Council for stripping, cosmetic repair and repainting. It was then placed back on display at the same location in Corrimal. 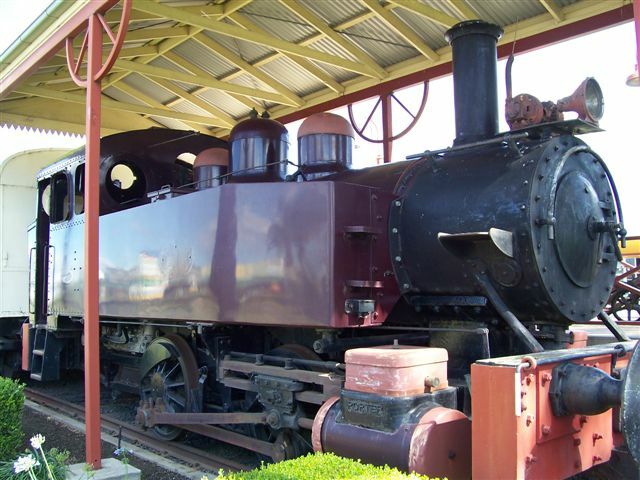 Kathleen is slowly being restored to operation at the Richmond Vale Railway; refer to the Kathleen page for further information. Ex-Australian Iron & Steel, Port Kembla. 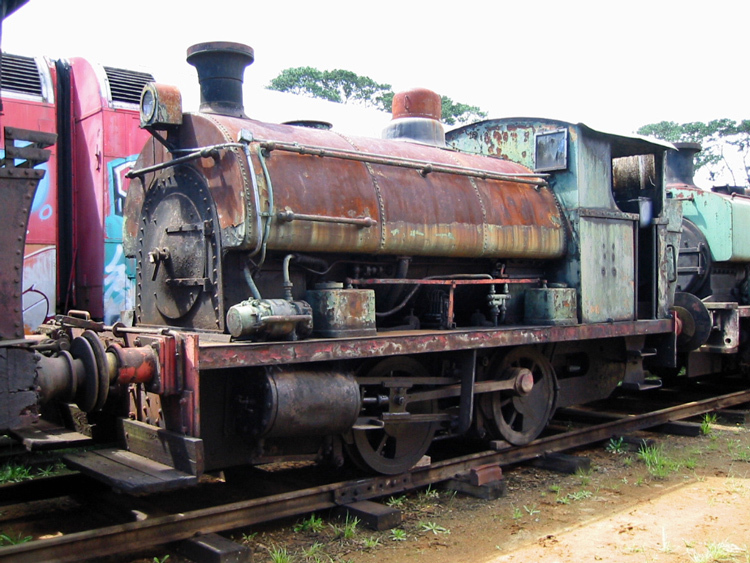 Badger and Bronzewing (below) are the survivors from a class of 8 locomotive used at the AIS Port Kembla steelworks for shunting duties including moving hot slag ladles to the slag dumps. Ex-Australian Iron & Steel, Port Kembla. Bronzewing had been displayed at the NSWRTM where it received a static restoration in the 1970's. It later returned to the BHP Port Kembla steelworks, together with two end-platform carriages, and was restored to operation for special events connected with the steelworks. Following the outsourcing of rail operations at the steelworks, Bronzewing and the two carriages returned to the NSWRTM on 27 June 2007. Marjorie is an Australian-built copy of the classic Avonside design of shunting locomotive, and is very similar to 'Kathleen' (above); refer to the Marjorie page. Ex-Blue Circle Southern Cement, Portland. No.3 (together with No.5 and 2605) operated at the cement plant until steam locomotive operations finished in 1983. It is now stored at Dorrigo for the proposed Dorrigo Steam Railway & Museum. Ex-Blue Circle Southern Cement, Portland. 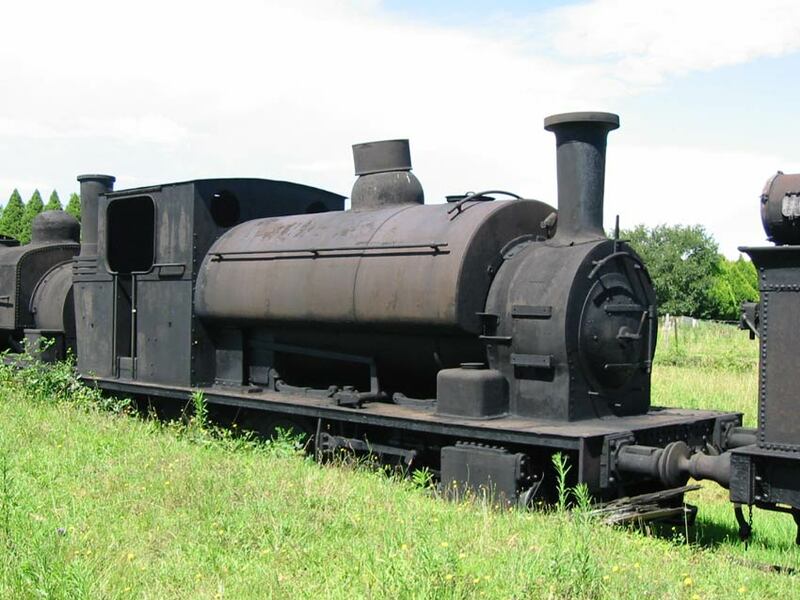 No.5 was privately owned and stored (partially dismantled) on a rural property near Wodonga, Victoria for many years. 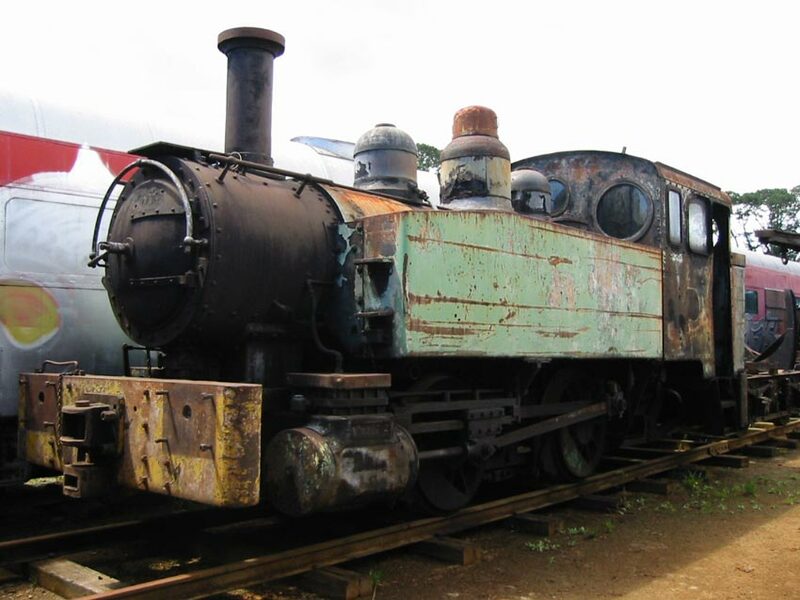 It was auctioned on 16 October 2010 and I understand it has been purchased for the proposed Dorrigo Steam Railway & Museum. Ex-Commonwealth Steel Co Ltd, Newcastle. This photo of 24 January 2004 shows Juno in storage at Dorrigo. Alison had been stored at the NSWRTM Thirlmere for many years. In 2009 it was transferred to the Richmond Vale Railway, where static restoration is well advanced. Ex-John Lysaght (Aust) Ltd, Wollongong. Marian had been plinthed at Figtree (Wollongong) until obtained by the DSR&M. This photo of 24 January 2004 shows Marian in storage at Dorrigo. Wallaby appears to be a standard industrial locomotive design from Hawthorn Leslie & Co. It was purchased new by C. & G. Hoskins for their Ironworks at Lithgow, later moving to the Port Kembla steelworks of Australian Iron & Steel (AI&S). Wallaby was withdrawn from AIS service in 1963 and plinthed at the Visitor's Centre, Coniston. It was donated to the nearby Illawarra Light Railway Museum & Society in 1979 and placed as gatekeeper at their Albion Park museum site. South Bulli No.2 originally worked on the Ringwood Colliery Railway, Bundanoon but spent most of its life at South Bulli Colliery. It was displayed with the NSWRTM collection at Enfield in the early 1970's but was not transferred to the Thirlmere site in 1975, instead returning to the Illawarra for display at the Illawarra Light Railway & Museum at Albion Park. In 1995 it moved to Bulli Station for display at the Bulli Black Diamond Museum & Heritage Centre. No.4 is a Manning Wardle "H-type" and was imported with sister B/N 1780 for railway construction on the North Coast, and later worked at the Potts Hill reservoir construction in Sydney. It was last used by the Metropolitan Water Sewerage & Drainage Board at the Ryde Pumping Station in Sydney. Possum was built for the G & C Hoskins Ironworks at Lithgow. It moved to AIS Port Kembla in 1928 and worked there until retirement in 1967. Possum was donated to the Lithgow District Historical Society in 1969 and has since been plinthed in the gardens of the Eskbank House Museum, near to the site of the Hoskins Ironworks. Ex-Tubemakers of Australia Ltd, Newcastle. 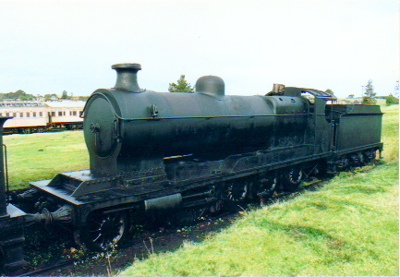 This photo of 24 January 2004 shows Corby in storage at Dorrigo. Ex-Commonwealth Steel Co Ltd, Newcastle. Previously Ex-BHP Newcastle. This photo of 24 January 2004 shows BHP No.4 in storage at Dorrigo. Following disposal by the BHP Newcastle steelworks, No.16 was sold to a gravel company at Penrith. In preservation No.16 was operational at the NSWRTM and occasionally used as the museum shunter until the mid-1990's. It was then placed on loan to an organisation at St Marys and plinthed under a weather roof. It is located at the front of St Marys RSL club opposite Mc Donald's, Corner of Mamre Rd & Hall St. This photo of BHP No. 16 is kindly provided by David Tickner. Ex-Blue Circle Southern Cement, Portland. No.2 'Stevo' had been stored at the Parramatta Park Steam Tramway until restored to operation under contract at the NSWRTM Thirlmere during 1993. 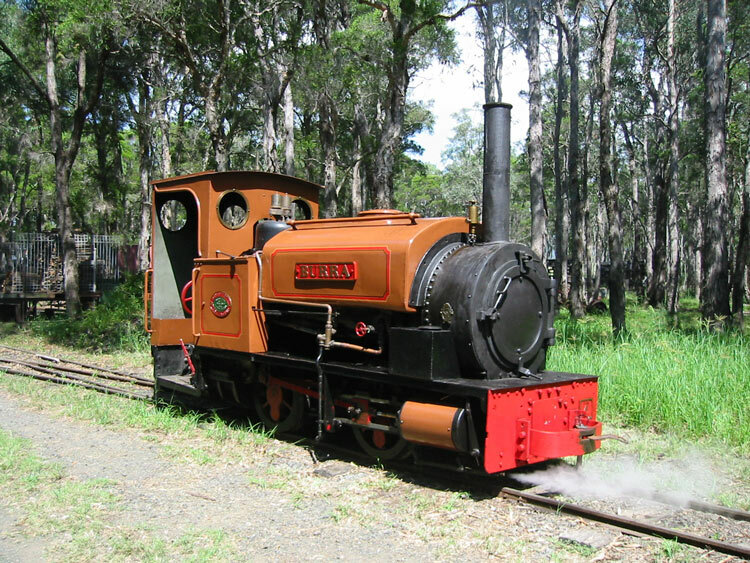 Fortunately 'Stevo' had not returned to Parramatta Park Steam Tramway site at the time of the 1993 arson attack that destroyed most of their collection. No.2 'Stevo' was relocated from Thirlmere to Valley Heights in 1999, which has become the new base for the former Parramatta Park collection. Emu Gravel No.1 represents a classic US design of simple and robust locomotive for construction & industrial duties. It had been displayed in the grounds of the NSWRTM, Thirlmere for many years. Emu Gravel No.1 was transferred to the Tenterfield Railway Station Museum in approximately 2010 where it is receiving a cosmetic restoration. 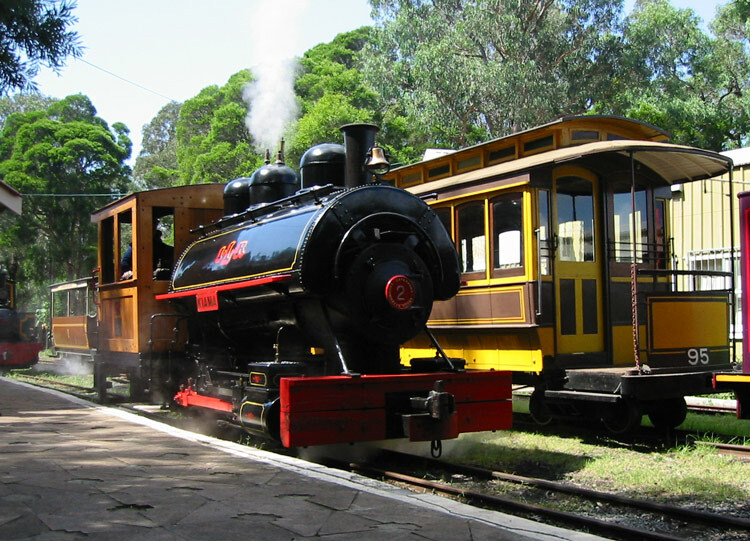 The Wolgan Valley Railway was one of Australia's most interesting mountain railways. A few locomotive remains exist, and the old railway route through the Glowworm Tunnel and Penrose Gorge is today an interesting Blue Mountains bushwalking track. This Shay locomotive spent its working life in the USA with its last revenue use as Brimstone & New River Railroad No.35. It was statically displayed at a Chattanooga, Tennessee museum before passing through a number of private owners in California. Around 1992 it was fully dismantled and has since been stored as a kit of parts. The Eskbank Locomotive Depot & Museum had been searching for a suitable standard-gauge Shay locomotive for rebuilding in the fictional guise of Commonwealth Oil Corporations No.5 and this locomotive is suitable as it is very similar to the Commonwealth Oil Corporation 70-ton Shays No’s 2 & 3. Arrangements are currently being made to ship the dismantled components to Australia as a first step towards its restoration. Climax 1375 was used by Longworth's sawmill tramway at Kendall, NSW. This timber tramway wound on wooden rails through the forested gullies and ridges behind Kendall. After the loco's final run in 1933, the boiler was adapted for static use in a sawmill. 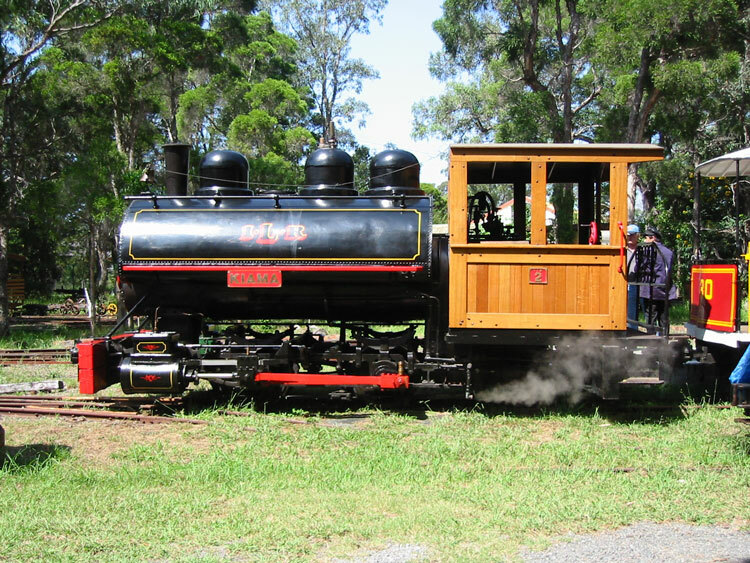 The boiler, smokebox and smokebox saddle of Climax 1375 are now displayed at Kendall, NSW (Port Macquarie region) as a memorial to the Longworth's mill and tramway, and part of the tramway formation has been opened as a walking track. 4472 Flying Scotsman visited Australia in connection with the Bicentenary celebrations in 1988. Y 1 was the class leader of the Silverton Tramway's Y-class locomotives. 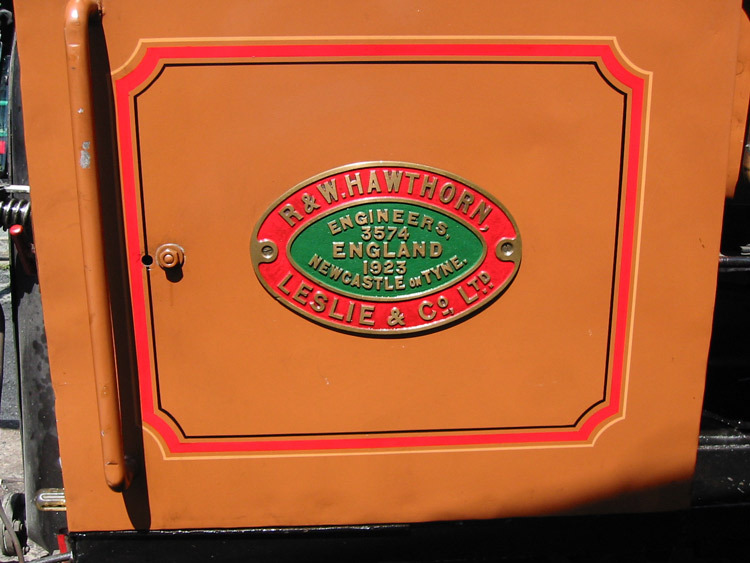 It was withdrawn from shunting duties in 1960 and saved for preservation, being originally displayed at Railwaytown on the site of the Silverton Tramway's main shunting yards, loco shed and workshops. Y 1 was later relocated to the excellent Sulphide St Railway & Historical Museum, Broken Hill where it is displayed together with W 25, T 181 and a range of railway, mineral and regional history exhibits. While the majority of the Silverton Tramway Company's Y-class locomotives were of the usual 2-6-0 tender variety, Y 5 & Y 6 featured an unusual 2-6-2T tank configuration. Silverton Y 5 went to the BHP Whyalla steelworks in 1941, becoming No.3. It was plinthed in a children's playground at Whyalla for many years. In 1983 it was obtained by the Pichi Richi Railway Preservation Society and placed in dry storage at Quorn. The Silverton Tramway Company hired 2-6-2T BHP Whyalla No.2 from March to September 1893, assigning it the road number Y 6. Y 11 was withdrawn from service in 1960. While several Silverton Y & A-class locomotives were sold for scrap in 1965, fortunately Y 11 was donated to the Penrose Park Trust and in September 1965 it was placed on display in the grounds of Penrose Park in the historic township of Silverton. Y 12 was the last of the Silverton Tramway Co. Y-class engines in service when withdrawn in September 1964. Together with A 21 and W 25 it was obtained by the Australian Railway Historical Society (SA Division) for display at the Mile End Railway Museum, which it entered in October 1965. 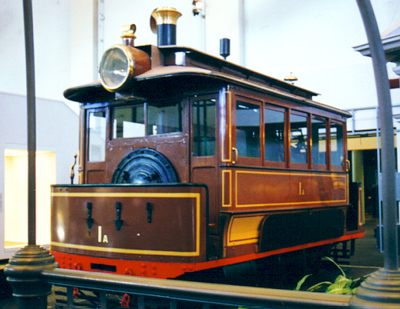 Together with the other Mile End exhibits, Silverton Tramway Y 12 was transferred to the new National Railway Museum, Port Adelaide in 1988 where it is displayed as a static exhibit. When the Silverton Tramway Co required more powerful locomotives to augment their fleet of 17 ageing Y-class 2-6-0 locomotives on heavy ore trains, they returned to Beyer Peacock & Co who supplied four handsome 4-6-0 engines. These became the Silverton Tramway "A-class" of which A 21 is the surviving example. 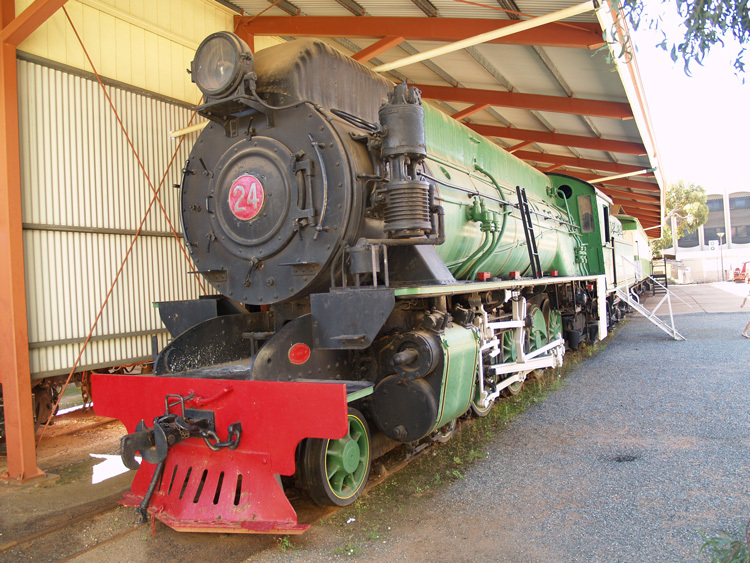 W 22 had been statically displayed at the Puffing Billy Museum, Menzies Creek, Victoria. 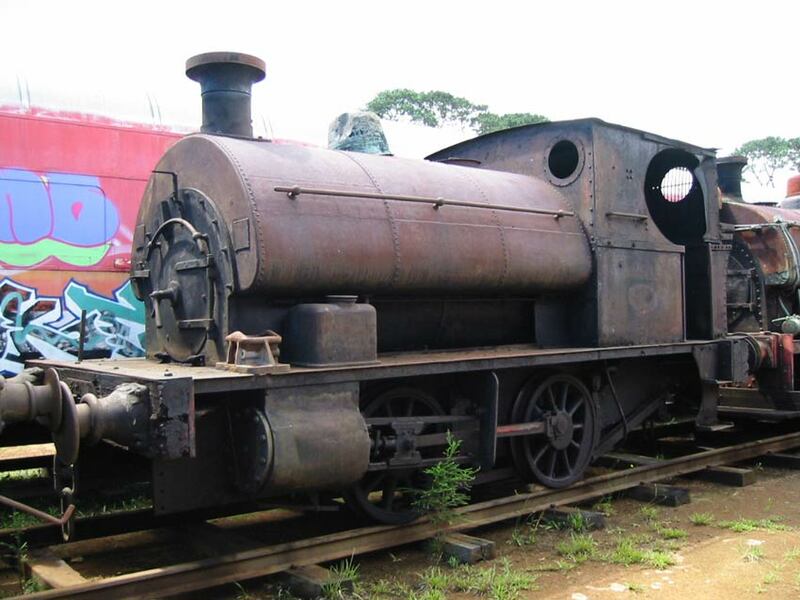 After many years at Menzies Creek, W 22 was transferred to the Pichi Richi Railway for intended restoration to operation but unfortunately was found to be in poor condition. The Pichi Richi Railway Preservation Society wished to honour their commitment to restore W 22, so WAGR sister W 916 was overhauled instead and renumbered as Silverton W 22 while the real W 22 remains stored at Quorn. W 24 is displayed at the excellent Sulphide St Station Museum in Broken Hill, together with Y1, T181 and a Silver City Comet diesel railcar set. W 25 is displayed at the National Railway Museum at Port Adelaide. Climax 1653 was originally ordered by a New Zealand firm but by 1925 was working for Pines and Hardwoods Ltd near Simmsville, NSW. It later worked in Tasmania, and is now statically restored for display at the Tasmanian Transport Museum. 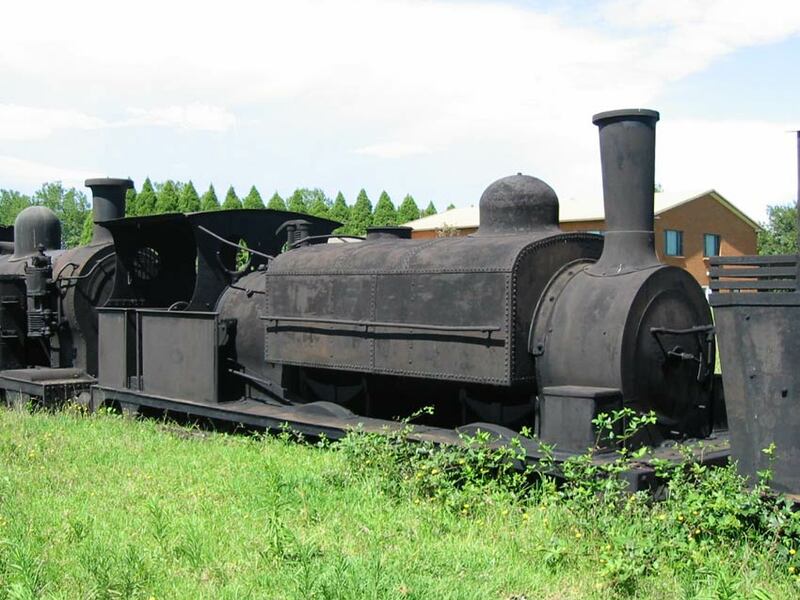 This locomotive was one of two Shays used by Lloyd Copper Co. at their Burraga works near Oberon. Shay B/No. 2576 ended its days at Omeo, Victoria where it had been used in a static capacity to power a sawmill. The remaining components (frame, boiler, cylinders and other parts, but minus trucks) were obtained by an enthusiast in the mid-1960's and are stored at a private location in Melbourne's eastern suburbs. Apparently originally owned by Colonial Sugar Refining, later used in construction of Cataract Dam. Last used hauling river sand in connection with Burrinjuck Dam construction. Disposal details are not recorded and the loco is rumoured to have been abandoned and drowned under the new dam waters in 1928. No trace of the loco has been found during drought times of low water in the dam, however the likely abandonment area (presumably the loco shed near the dam wall) was in deep water even in these times. UPDATE: Newsgroup comments suggest Kate's survival is unlikely; it was probably sold so an unknown and undocumented buyer. Ex-Goondah-Burrinjuck Railway, later ex-North Eton Mill No.5. Dulce was built as a 0-4-0T, but converted to 0-6-0T in 1937 after leaving the Burrinjuck Dam project. Dulce had been plinthed as a park engine, as seen in this photo kindly provided by Anthony Winstone. Dulce is now privately owned and stored dismantled and derelict at Kallangur, as seen in this photo of 12 April 2003 showing the frame, cab and tanks of 'Dulce' being engulfed by long grass. Ex-Goondah-Burrinjuck Railway . 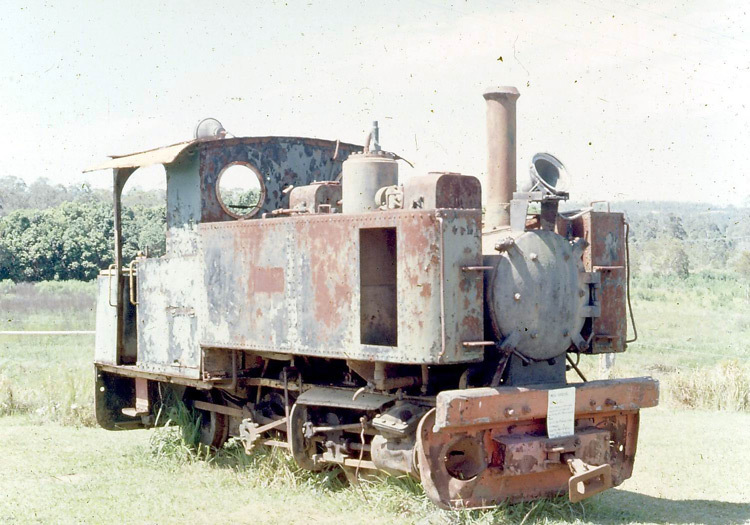 Robin's final user was the NSW State Metal Quarries, Kiama, where the loco was apparently buried on site after 1938. UPDATE: Newsgroup comments suggest Robin was probably scrapped. Refer to the Archie page. Refer to the Jack page. 'Kiama' was originally from the Cordeaux Dam construction project. It contains parts from sister engine Davenport B/N 1517 of 1915. This photo (and a side view) show 'Kiama' in steam at the ILRMS open day on 19 March 2006. Ex-Corrimal Colliery. 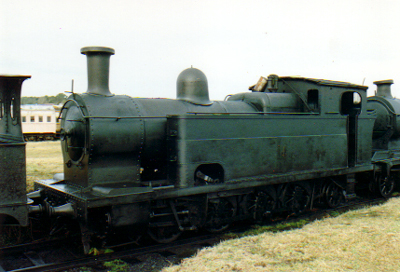 This photo shows 'Burra' in steam at the ILRMS open day on 19 March 2006. Here is a view of the builder's plate taken on the same day. Wollondilly / PWD 35 is often referred to as “The Kiama Fowler” following its use at the State Metal Quarries, Kiama. It was resident at the Marsden Museum of Historic Engines, Goulburn from 1958 to 1974 and was associated with proposals to establish a tourist railway at Kiama in the 1980’s. My visit to the ILRMS Albion Park in 2015 found Wollondilly / PWD 35 under restoration to operation after several decades of storage. Ex-Corrimal Colliery. The chassis of Krauss 6927 was retrieved from Corrimal Colliery in 1971. I believe these remains have since moved to a private location in the Sydney suburb of Gymea.